As you probably know, along with polish, I likes me some makeup. And every chance I get to get my hot little hands on some new makeup, I grab it. 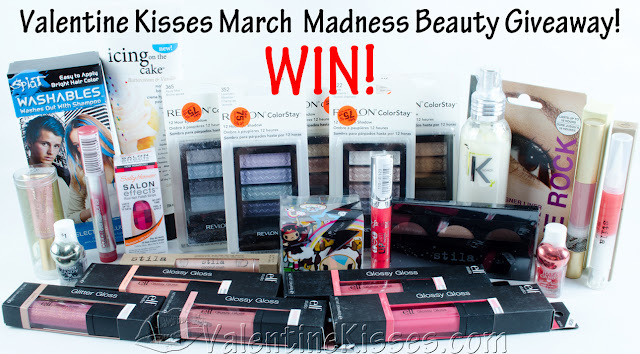 If you like makeup and want a chance to get your hot little hands on some, click here to enter Valentine Kisses's March Madness Giveaway. She has a great prize that includes something for eyes, lips, nails... Brands that range from E.L.F. to Stila. This giveaway is open through the end of this month. So, what are you waiting for, beauties? Get thee over there and enter.